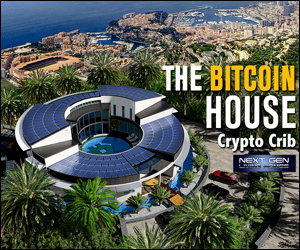 HomeBalconyNextGen Unveils the First SELF-PAYING Home Mortgage to the World, with the release of the Bitcoin Home, styling in a Crypto-Crib! PHOENIX, Arizona, July 5, 2018 (Nextgenlivinghomes.com) – The days of paying a mortgage from making a living as in having a job, a credit score, credit history and a banking approval is going away. Next Generation Living Homes is bringing this paradigm shift in home ownership by making the self-paying home available to everyone. What if you can pay off your home mortgage in just 4-5 years and have complete ownership? What if you can have the freedom to do anything you want in life as a career or just be a home owner? What if your home can pay you a salary to live there for the rest of your life? What if you could build your life around your home and live anywhere in the world you want. Let’s apply this technology advancement for the freedom you seek. Mr. DZahr, CEO of Next Generation Living Homes, states; “We are in an age of technology enlightenment, so far, we’ve been looking at home purchases from the bottom up, asking ourselves: Can I afford this home? 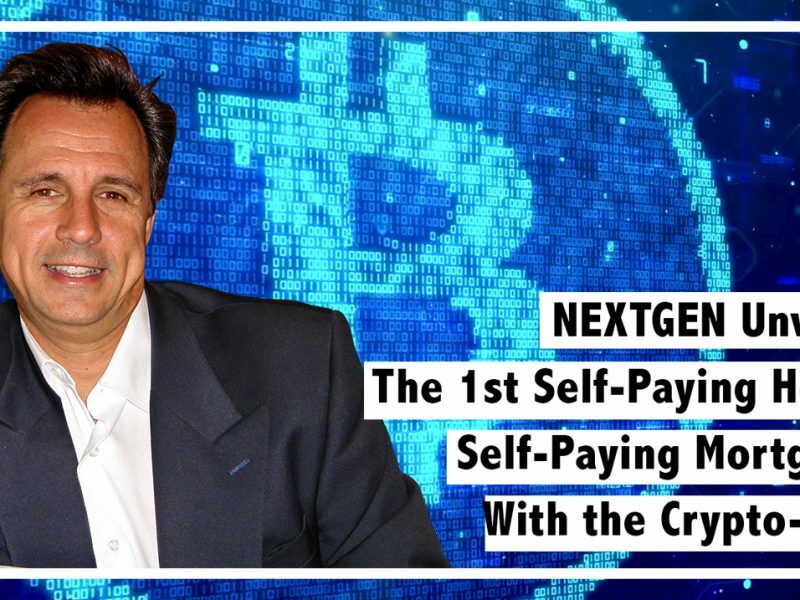 Now, can we start looking from the top down, asking instead: What can I have, if I have a self-paying home?” What we have here is both innovating and creating real value! We’ve been in the age of computers for over 50 years, and computers are here to make life easier and faster. So, it’s all about applying this technology to your home payment. What if your computer can make all the payments for you? And what if, our latest computers are so efficient and fast YOUR home may make full payment in 4-5 years instead of 30-40 years. We estimate that our Computer Mining Network setup can earn $500K to $1M per month Bitcoin mining crypto currencies. Now you can make all your mortgage payments in 4 years and we’re talking about a $25M to $50 Million dollar home. No more downsizing, instead you’ll have the freedom to have a bigger and better home that doesn’t just appreciate based on the local comps, instead these homes will appreciate based on what they can earn. At Bitcoin value today, the math goes like this; 12 months earnings of $500K per month equals $6M per year in earnings! What happens when Bitcoin goes back up to a Bitcoin price of $20K valuation, it means your home is earning a cool $1M per month. 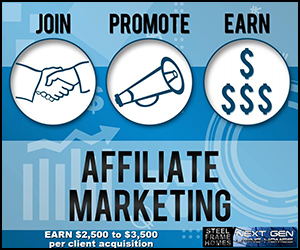 What would you do with this residual monthly income after your dream home is paid off? Does this make sense now? 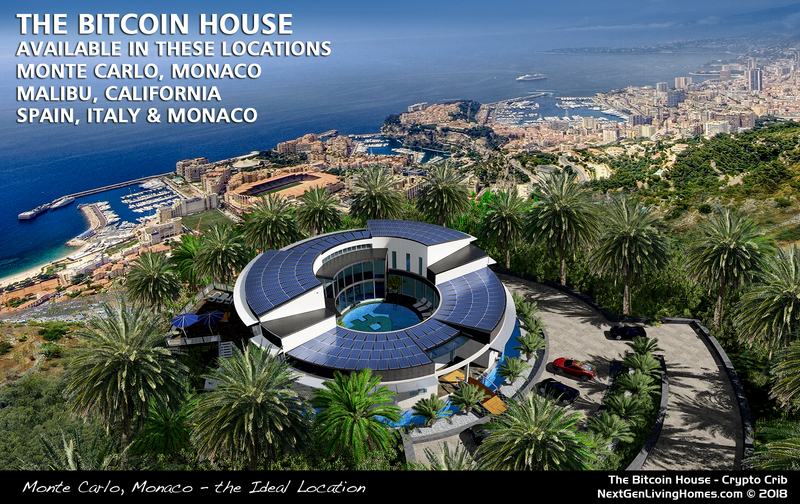 Our homes can be paid for via a Bitcoin Mining Network installation on site and underground with No Noise, No pollution, and No Emissions. Included with your home is a 40-foot container, housing 1,200-1,300 computers humming away and mining bitcoin crypto currencies 24/7. At today’s Bitcoin exchange rate of $7500 per Bitcoin, this mining pool will earn a cool $500,000 per month, and when Bitcoin gets back up to $20k per coin again, as it did in December 2017, the Computer Mining Network can generate a whopping $1M per month income for the home owner. In reality, we don’t know what the value of Bitcoin will be in 4 years from now. Some industry leaders say… $1M per Bitcoin, others–more conservative–say $250K per Bitcoin. Whether Bitcoin reaches $250K per coin in 48 months or not, the ability to make your home mortgage payment using an incorporated mining network is real and available today! 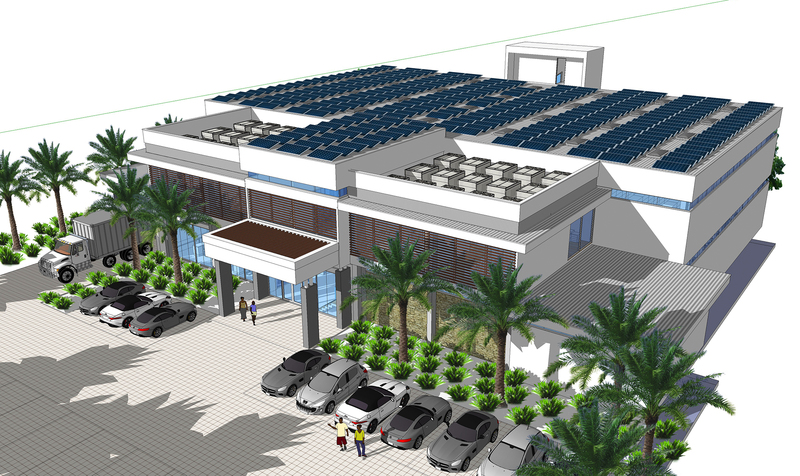 Another noteworthy point is our fully covered rooftop with 207 Solar panels using two different types of colored solar panels. Blue silicon (Polycrystalline) and black (Monocrystalline) solar panels will create the Bitcoin Symbol on the rooftop of the home. This will be our Flag Ship home symbolizing a breakthrough in home ownership outside the banking system and completely paid for with crypto earnings. Funding can be in US Fiat currency or in Crypto currencies. We also accept a SALT Lending solution for Crypto investors. Although there are many options for the placement of the Computer Mining Network if it is maintained on the property, if the home is in a colder climate the Computer Mining Network can heat the entire home at a zero monthly cost. Additionally, all the pools can be heated year round without any additional monthly costs. Every day we see leaps and bounds in computer technology, and if we are correct you can expect to see in 1 or 2 years, instead of 1000 computers, we’ll only need 5 or 10 computers to generate the same earnings that 1000 computers can earn today, plus we’ll be able to reduce the use of electricity by a factor of 1000 times. This WILL happen and then you’ll see a paradigm shift like you never seen in the history of the world. 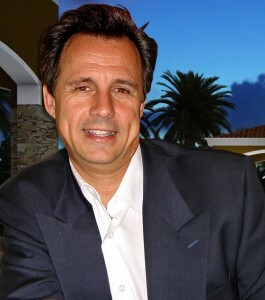 People will have a home and generate an income in any currency of their choosing. This is the paradigm shift for humanity that everyone needs and wants! Technology should not be used to limit people, it should liberate and improve our societies in the most imaginative ways possible. Our concept homes are slated for immediate project development. Early adopters with properties in prime locations around the world may submit their property particulars for evaluation at this LINK. We plan to start developing at least 10 Self-Paying homes by mid 2019. 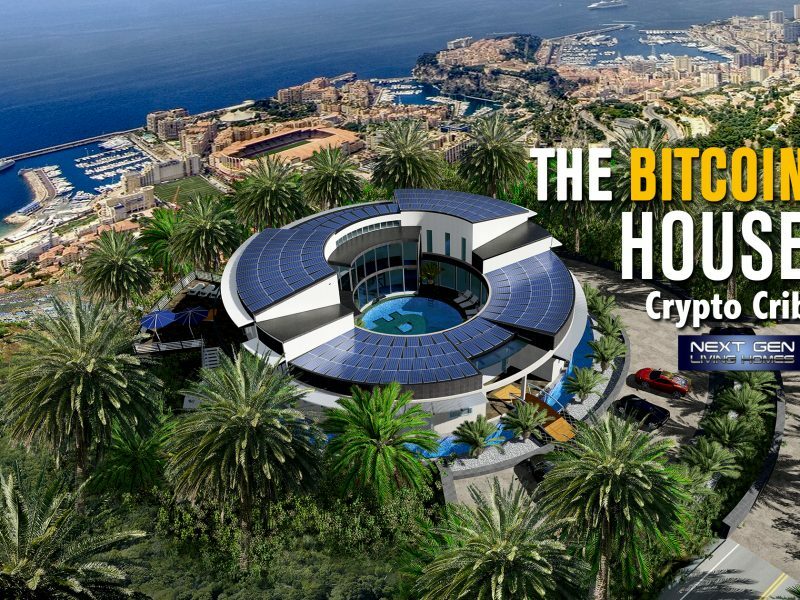 All Crypto Computer Mining Networks are exclusively sold and managed in conjunction with Next Generation Living Homes, home plans. 2) We are not limited to any of these locations however we are looking in prime locations of Malibu, Los Angeles, La Jolla, Newport Beach, San Francisco, Seattle, the Mediterranean areas such as Spain, Italy, Cyprus, Greece, Monaco and coastal Mexico. 3) Our first homes will be in the 15,000 to 25,000 sq ft floor plans as our valuations are based on real estate comps of comparable homes. For up-to-date Information for investors, contractual relationships and partners please subscribe at this LINK. Disclaimer: All numbers shown here are subject to change and are only used as an Early Stage estimate. Computer earnings may fluctuate with the various crypto currency markets . Earnings valuations may easily fall or rise in a time of mass adoption. Other Altcoins can be mined at a higher RIO than Bitcoin and are being researched for best ROI. We are developing solutions that will bring home ownership with self-paying crypto-mining. 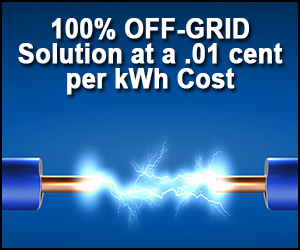 Electrical costs will vary by location. 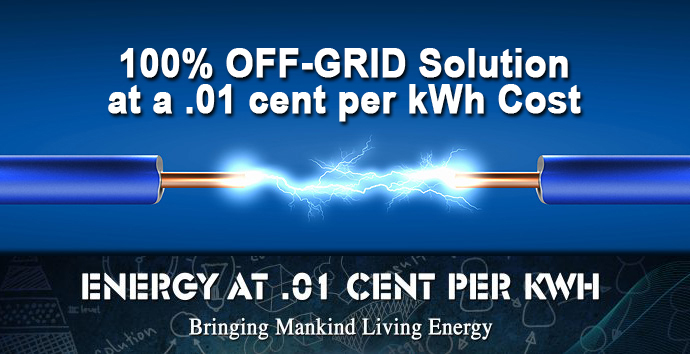 We are also researching other off-grid solutions that will offer a fixed rate per year. The First SELF-PAYING Home Mortgage to the World.